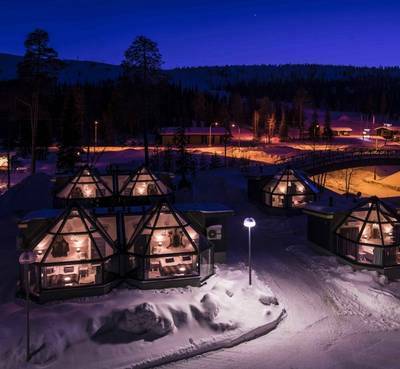 Enjoy the beauty of the Arctic from the comfort of your self-contained and cosy room. 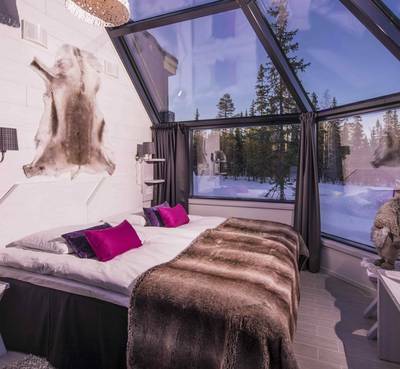 The Arctic View Rooms come equipped with panoramic windows and partially glassed roofs to give you a lookout to the wilderness at all times. 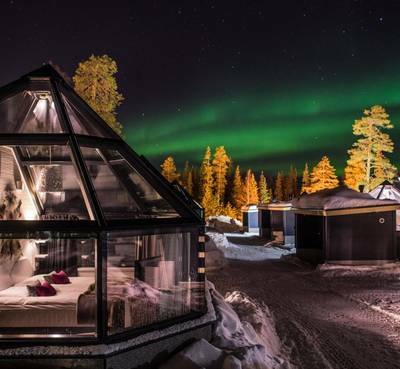 This becomes even more spectacular as darkness falls and you could see an Aurora display as you’re tucked up in bed. You will enjoy dinner at the nearby restaurant in Hotel Aurora before retiring to your room with views of the polar night in total comfort. Double/twin rooms: Each room comes with a twin bed that can be made up as a double. There’s also a small sofa bed to accommodate another person, although this may be a bit of a squeeze.